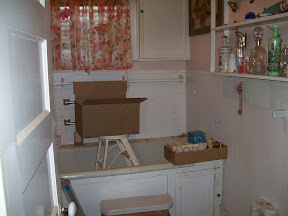 One of the things I love most about this house is this awesome cabinet unit in the bathroom. Within the first week of being here, I had arranged and organized my HBA stockpile just the way I'd always wanted to. It was perfect! Finally room for all of it and it's all easy to find! 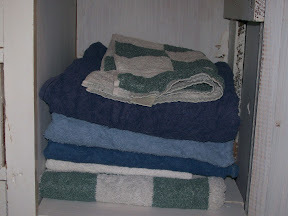 My bubble was burst when DH suggested we might want to keep towels and wash cloths in the cabinet as well. 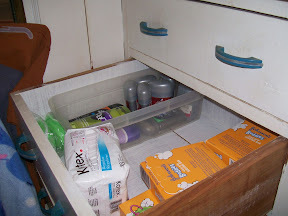 Well, that had never even crossed my mind, I was so in awe of my stockpile storage. I felt so silly! So today, that is what I worked on. I think I did pretty well. Here is the shelf area. 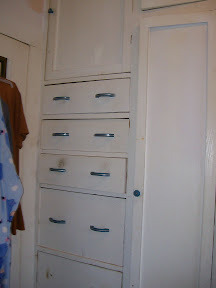 And here are the drawers. The top drawer is empty at the moment. I can't figure out what to put there or in the upper cabinet sections, as they are so hard to access. Any suggestions would be greatly appreciated. It's coming along, finally! To see what others are tackling, click the Tackle it Tuesday logo above. Wow! I'm impressed. I really need to stock up on some of that stuff. it's great to have such a fantastic storage space! 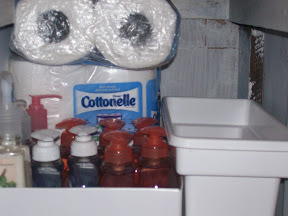 Can you bring your organizational skills over to my 3 disaster sites known as bathrooms? Very organized. I love that. What a great cabinet...it looks like you can fit so much in there! 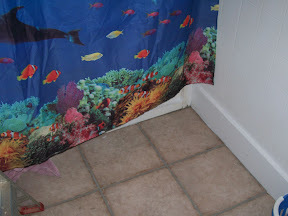 Ok, I have to admit I am jealous of your bathroom. Great tackle. 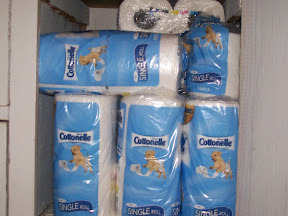 Your stockpiling looks like mine!!! LOVE all the free Johnson's Buddies bars!!! Great tackle! That is an awesome cabinet! 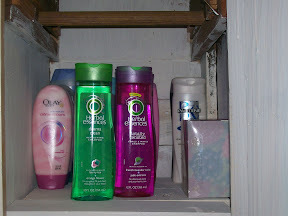 You sure have stockpiled a lot of stuff, lol! *sigh* They just don't make bathrooms like they used to. I am so jealous of all those drawers! 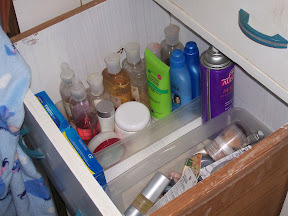 The top drawer or cabinet could be your "gift closet". Stash those freebies, stocking stuffers, etc where the kids can't reach 'em! I am green with envy over your storage space! I just like to stare at my stockpile sometimes too and think how pretty it is! Weird, I know! Maybe I should find a "Stockpilers Anonymous"! That's a great idea! Thanks for the suggestion! Wow, love the built ins! Great Tackle! 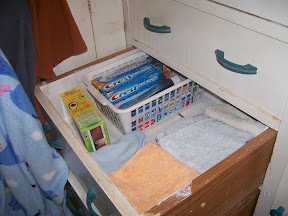 using baskets in the bathroom is my favorite way to organize, your drawers are awesome!!!! Awesome organizing! Doesn't it feel good to accomplish a task likie that? ?